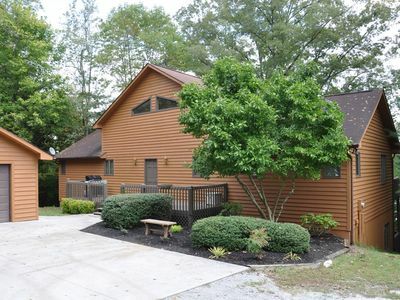 Spacious Lakefront home is located in popular Deerfield Resort. 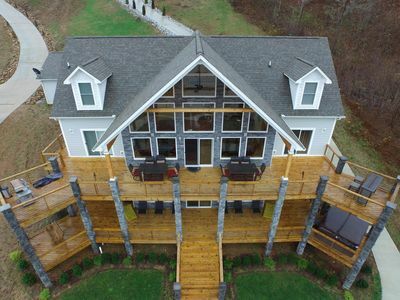 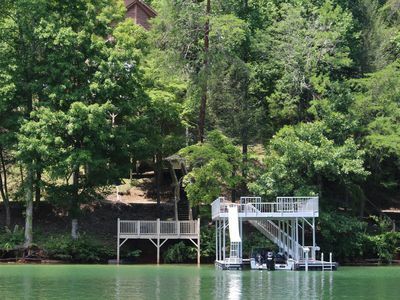 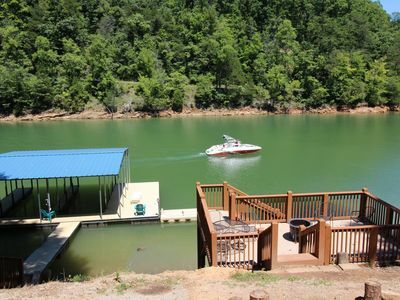 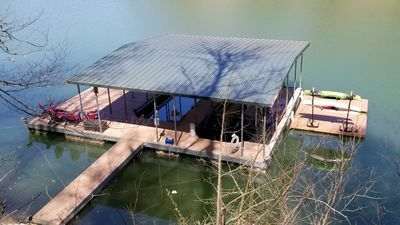 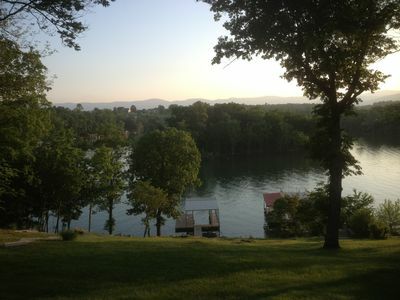 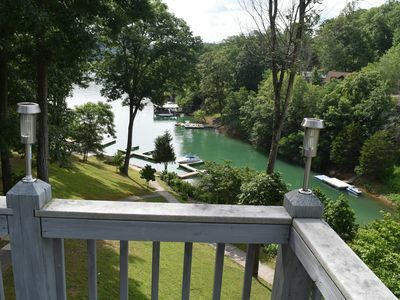 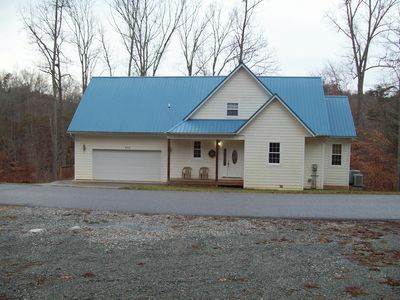 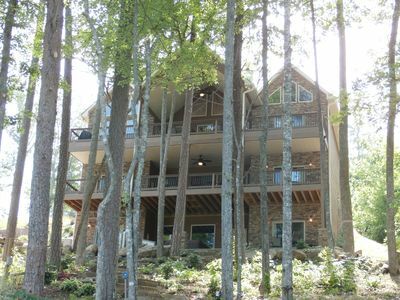 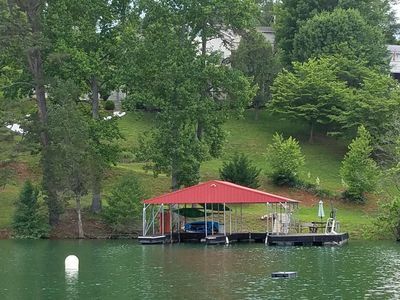 Enjoy swimming off a private dock with boat slip in a no-wake cove that is located near 3 popular full service marinas. 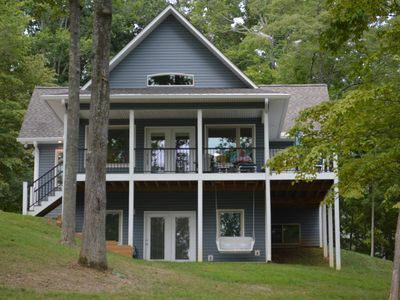 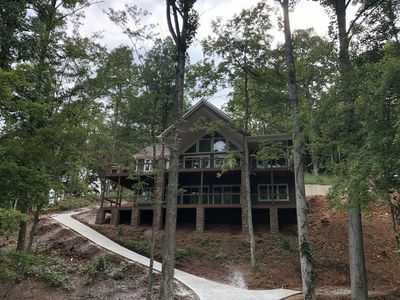 Floor to ceiling windows offer fantastic view of the lake from main living areas. 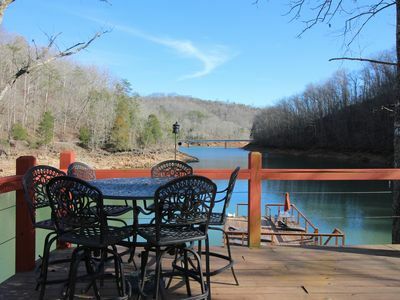 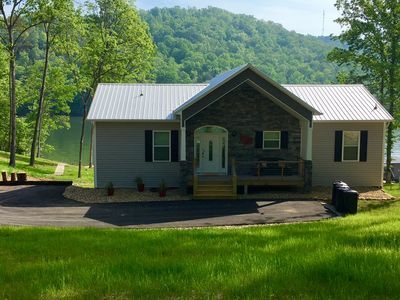 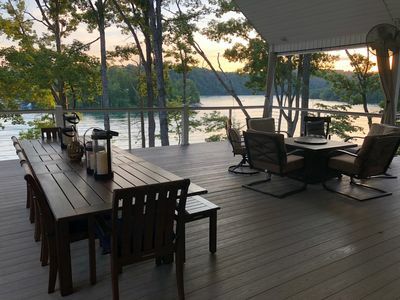 You can also retreat to any of the 3 decks to relax and enjoy the view of the lake and wildlife. 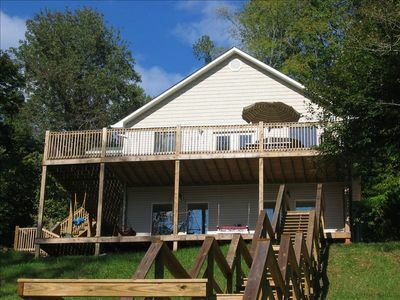 House has two large master suites with king size beds and Jacuzzi tubs. 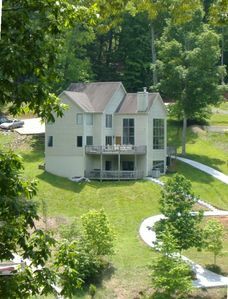 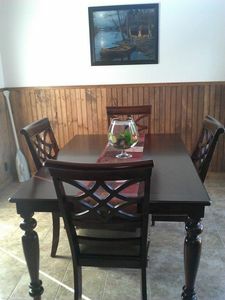 The large family room on the lower level has entertainment center and huge bar with mini-kitchen. 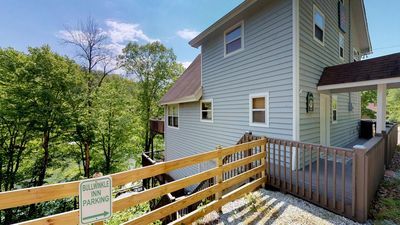 Full kitchen is on main living area and both kitchens have refrigerator, stove, dishwasher, microwave, toaster and blender. 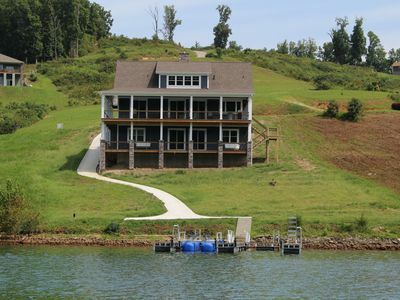 House also offers another refrigerated unit that is perfect for additional storage for drinks/food.